Once more the Ravens were one win away from a Super Bowl but a close loss to the Patriots ended a terrific year. Now, with some new faces (Ma'ake Kemoeatu, Jacoby Jones) and some old (Ray Lewis, Ed Reed) that Super Bowl berth could be closer then it has been for a while. First, the Ravens must get a better year from Joe Flacco and must remain healthy as they have already lost Terrell Suggs to injury. If everything falls into place, expect to see the Ravens playing on Super Bowl weekend. Offense: Joe Flacco had a strong year throwing for 20 touchdowns and 3,610 yards. But, that is just one side of the story. Flacco struggled with turnovers not just interceptions, in which he had 12, but also with fumbles. He has a strong, accurate arm and the smarts to be a prolific quarterback. Baltimore brought in Curtis Painter to backup Flacco, as they should just experiment with him. 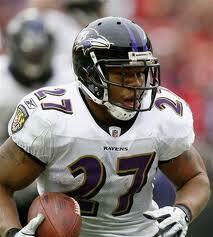 Ray Rice is the reason the offense works as he runs wild and can catch balls out of the backfield. He is fast and elusive with some power mixed in. He is especially dangerous on screens when teams must cover Anquan Boldin or Torrey Smith heading deep. Ricky Williams retired this off season leaving a gap behind Rice. Williams was helpful as he could provide a bruiser and a quick change of pace from Rice. Now expect to see more Anthony Allen and Temple rookie Bernard Pierce. Flacco doesn't have any Pro Bowl receivers but he has good, solid targets to throw too. Anquan Boldin was more of a deep threat then anything else reeling in an okay 57 receptions for 887 yards. He averaged 15.6 yards per catch though and devastated defensive backs at times. Speedy Torrey Smith is on the verge of stardom entering his second year with the squad. Jacoby Jones won't catch much but he is an interesting third or fourth option. The offensive line has a nice mix of youth and experience headed by tackle Michael Oher, Bryant McKinnie and Matt Birk. Expect second-round pick Kelechi Osemele to get snaps. Defense: Ever since Ray Lewis stepped on the field for the first time this Ravens defense has been one of the most menacing and best units in the NFL. Lewis is back once more after leading the team in tackles with 95. He has slowed down a little bit over the years but is still one of the elite defenders in the league. The Ravens drafted outside linebacker Courtney Upshaw, who will likely start with Terrell Suggs out for much of the season. On the line the Ravens have disruptive tackle Haloti Ngata who stands at 6 feet 4 inches and 330 pounds. Terrence Cody also demands attention on the inside. Who will replace Suggs as the team's top pass rusher is only issue on defense. End Pernell McPhee had six last year and will contribute in big ways this year. Also expect Upshaw to make plays in the backfield as he did at Alabama. The secondary is headed by ball-hawking Ed Reed as it has always been. Reed isn't as fast as he once was but he still recorded three interceptions last year and can hit. The team will lean heavily on corner Ladarius Webb who signed a big extension this year after a five interception 2011. Like I said, if everything works perfectly these Ravens will be heading to the Super Bowl. But things rarely do in the NFL and the loss of Suggs could be bigger then many may think. Even in this tough division the Ravens are the king. Pittsburgh rode into the playoffs flying high. Ben Roethlisberger was healthy was a recipe for disaster for other AFC teams and the team they played first? The 8-8 Denver Broncos who had dropped three straight entering the game. But, all that confidence was shattered when Tim Tebow lead the Broncos to a dazzling OT win. Now, the Steelers head into 2012 without a familiar face, Hines Ward, who was basically forced to retire by the team. Another receiver, Mike Wallace, has his future up in the air. So needless to say these Steelers have a number of questions to be answered. But if Big Ben is healthy that should mean Pittsburgh is in contention for a Super Bowl. Offense: Ben Roethlisberger is a fantastic quarterback leading the Steelers to a Super Bowl win in '08 and 4,000 mark last season. But that was done with Bruce Arians who is now gone replaced by Toddy Haley the former Chiefs head coach. Roethlisberger made it clear he didn't like the hire meaning that could be a huge worry for the Steelers throughout the season. Once Roethlisberger approves of him, if he does, Haley must start working on the ground game as Rashard Mendenhall's health is a problem. Isaac Redman could dominate when given the chance and Jonthan Dwyer has potential but the Steelers would like to stick with Mendenhall. Without Ward the receivers are less experienced but still good. Wallace is explosive and a okay route runner and it showed as he racked up 4,000 plus. 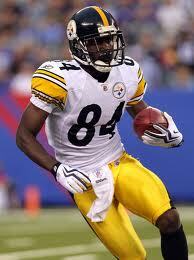 Gem Antonio Brown broke out last year also passing 1,000 yards and catching 69 balls. Brown has good hands and makes plays. Tight end Heath Miller doesn't get much respect but he is very important. He is a red zone threat and a solid blocker. The Steelers also added tight end Leonard Pope to play the same role but with less snaps. The offensive line has been criticized and has struggled with health but that should chance with the draftings of guard David DeCastro and tackle Mike Adams. Willie Colon is a psychical player on the left side and center Maurkice Pouncey is maturing. Defense: With the returns of beasts James Harrison, LaMarr Woodley and Troy Polamulu this Steelers defense should once more be a formidable unit. Harrison does most of his damage as a pass rusher but can also make tackles. Woodley also gets to the quarterback as he recorded 9 sacks in '11. With them on the field Pittsbrugh will rely heavily on Lawrence Timmons to be the premiere tackling linebacker. He had 93 last year and can make plays all over the field. The line doesn't get too much attention mainly because most of the sacks are coming from Harrison or Woodley. But Casey Hampton can still stuff up running lanes. Ziggy Hood has the talents to be a beast on the side. In the secondary the Steelers have two Pro Bowl type players in safeties Ryan Clark and Troy Polamulu. Polamulu is everywhere, on the line, in coverage or tackling the running back. If he stays healthy the Steelers are stacked in the back. Pittsburgh has a whole lot of questions but their remains a whole lot to love about this team. The Ravens are going to be a tough team to stop at the top of the North but if Haley and Roethlisberger bond expect a Wild Card berth. In the mist of a rookie quarterback, a rookie top receiver, a back who couldn't stay out of trouble and a coach everybody was hoping would get fired the Bengals won nine games and made it to the playoffs. Now, with more experience and confidence the Bengals are hoping for an encore to their surprising 2011 peformance. Though the untold story was that the Bengals were 1-8 last season against teams with winning records a stat that shows this team wasn't as strong as their record. Offense: Last year A.J. Green exploded catching 65 balls for 1,057 yards and 7 scores. He had maybe the most impressive season for any rookie not named Cam Newton. Green can catch any ball you throw near him and has great speed. If he stays healthy expect two straight Pro Bowls for the receiver. The guy throwing him those 65 catches was another rookie, Andy Dalton. Dalton gained the starting job over Bruce Gradkowski and immediately started producing. He hasn't have a dazzling arm but he is accurate and efficient. Dalton had 20 touchdowns and 13 interceptions a pretty good ratio. With more experience that 13 interception stat should slip below ten. The Bengals cleaned up the team by releasing Cedric Benson. In his place they signed one of the most underrated players in the league in BenJarvus Green-Ellis. Green-Ellis usually didn't get 20 carries a game in New England like he will for Cincinnati but he was strangely effective. 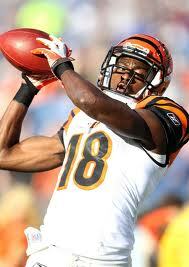 Another receiving threat for the Bengals is tight end Jermaine Gresham who caught six touchdown passes in 2011. Gresham has good speed for a tight end and fantastic hands. With Jerome Simpson off to Minnesota the second receiver will probably be Jordan Shipley who missed most of last season with an ACL tear. Shipley has good speed and can reel in a lot of catches but is undersized. Rookie Mohamed Sanu is a play maker who could run some formation similar to the Wildcat. On the line Andrew Whitworth is a monster at left tackle. He has good size and plays big. On the other side the Bengals possess maturing Andre Smith who can dominate. 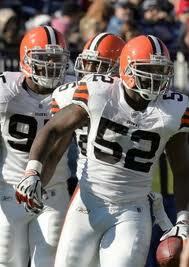 Defense: These may be the most underrated unit in the NFL, a unit that ranked 7th in total defense in the whole NFL. Much of that was thanks to great pressure which was supplied by tackle Geno Atkins and end Jonathan Fanene. Fanene is now gone but this is still a great pass rushing team. Robert Geathers has good moves and has the speed to get to the quarterback from the end. Newly acquired Jamaal Anderson could start in Fanene's place. Tackle Domata Peko won't get too many sacks but he is huge in the middle. The Bengals have a star in linebacker Rey Maualuga who is tough and menacing. He had 88 tackles last season and forced three fumbles. Thomas Howard is another sure tackler who does damage on the outside. Cincinnati improved an okay secondary this offseason by drafting Dre Kirkpatrick and signing Terence Newman. Leon Hall is a shutdown corner but the issue is the safety slots. Taylor Mays should start at strong safety and the electric Reggie Nelson at free. But neither have coverage skills. The 1-8 stat shows that the Bengals weren't and probably won't be Super Bowl contenders. Though if they can get through Pittsburgh and Baltimore with a win or two they have a chance at making some noise. Hope filled the air of Cleveland at the beginning of last season. It appeared the Browns had finally found their quarterback in Colt McCoy, had a rising star in Peyton Hillis and had a dangerous defense. But that didn't turn out too good. McCoy played decent but wasn't good enough. Hillis struggled all season rushing for just 587 yards. And the defense was strong it couldn't seem to force turnovers or stop the run. Something needed to change for a team that had won 18 games since 2008. And things did on Draft Night. The Browns selected Trent Richardson the bruising runner from Alabama then selected a quarterback in Brandon Weeden later on. The new combo will start right away but wins won't come right away. Offense: Once considered a contest the quarterback job appears to be the 28 year old Weeden's. Weeden has a huge arm and has the maturity to be a starter right away and have success. He'll replace McCoy who had 14 touchdowns and 11 interceptions last year. McCoy may still be this teams franchise quarterback as Weeden is older. The run game died last year as Hillis was the teams top rusher. With Richardson now running wild this whole offense will open up. Richardson has fantastic speed but sometimes he doesn't need to use it as he can bowl people over. The line should help him as it is headed by one of the tackles in the game in Joe Thomas. Over the years the Browns have made a lot of mistakes on Draft Night. Thomas is not one of them. Also on the line is Alex Mack and rookie Mitchell Schwartz. None of Weeden's targets are Pro Bowlers but Greg Little may soon be. Little had 61 receptions for 709 yards. Little doesn't have burning speed but has some and has good size. Josh Cribbs was one of the Browns leading receivers even though he does most of his damage on special teams. Cribbs is explosive when in the open field and can get seperation. Expect a solid season from vet Benjamin Watson. Defense: The line is pretty bad for these Browns. Jabaal Sheard is an average starter at best and tackle Phil Taylor is still learning the ropes. Ahtyba Rubin can be dangerous as a tackler and pass rusher. He recorded 83 tackles as a linemen in '11. The Browns have a shining star on defense in D'Qwell Jackson who had 158 tackles last year. Jackson has the smarts and vision to stop plays and he needs to continue that because this run defense was 30th in the league last season. Rookies James-Michael Johnson and Emmanuel Acho could usurp starters Scott Fujita and Chris Gocong. The secondary has the talent to be strong. Expect big things from corner Joe Haden and safety T.J. Ward. Sheldon Brown may have to shift around but he'll make plays anywhere. This team looks like it is going in the right direction but in this division with their youth they'll struggle. Don't expect a Bengal-like season. Instead, expect another 4-5 season for Cleveland.